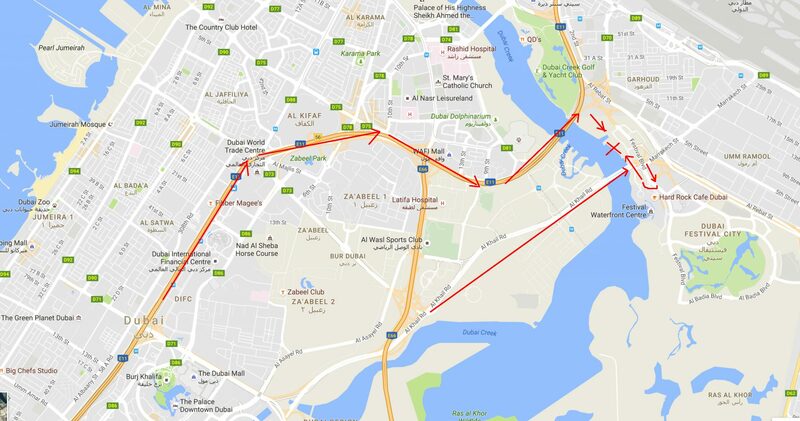 Option 1: On Sheikh Zayed Road, head towards the Airport and Al Garhoud Bridge. When you get to the bridge, stay in the right lane, take the exit towards Festival City. Stay right and take the exit towards Marsa Al Khor and keep right. At the traffic lights, take a right then at the roundabout go left. At the next roundabout turn right into the car park. 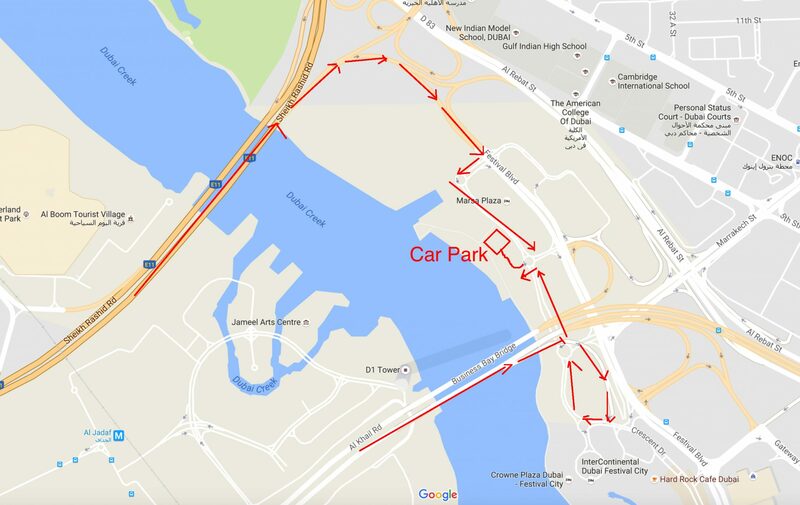 Option 2: On Al Khail road, head towards the Business Bay crossing. When halfway across the bridge, take the exit on the right marked Festival Centre. Stay right and when you get to the junction, take a right. At the roundabout, take the first exit (right) heading underneath Business Bay bridge. Take the 2nd exit at the next roundabout (straight on,) go under the bridge and then at the third roundabout, take a left into the car park.